Last week’s column "The Secret Formula for Everything" sparked some great feedback from several Tribune readers. One reader in particular, Ruth Tighe, asked how we could apply the condition formulas to Saipan’s goal of revitalizing its tourism industry. As I mentioned to Ruth, in order to apply the formulas correctly, we first need to know what our "product" is and the correct "statistic" to measure. Is it "hotel rooms occupied" ? Is it "airline tickets purchased?" What is it that represents the growth and revitalization that we want to track? Each industry has its own set. Once determined, we then need to track that statistic for the appropriate length of time in order to reveal our true condition. Based on how and at what rate that statistic is changing (increasing, decreasing, staying the same),we may discover, for example, that we’re really not in Non Existence, but perhaps in another condition like "Emergency." The definition of Emergency is: "When a statistic remains unchanged over a period of time, it is in a condition of Emergency. Additionally, when a statistic is seen to be gradually declining over a period of time, it is in a condition of Emergency." 1. Promote. Or in the vase of an individual: Produce. 2. Change Your Operating Basis. 4. Then Prepare to Deliver. Ruth is correct. There are some aspects of our "product" which are not quantifiable. Which brings up the subject of today’s column: Brand Identity. A brand is the sum total of the reputation, image, feeling, perception you occupy in the minds of the consumer. If you have a strong brand, you sell more products. If you have a weak brand—if what you do or represent is poorly perceived by the public—then your sales suffer. So this week, I’ve decided to get everyone in on a brainstorming session to come up with a strong brand identity for Saipan. The purpose of a brainstorming session is to stimulate ideas by asking the right questions. As I always say, you can’t get the right answers if you don’t ask the right questions. And let’s not limit ourselves. Think about the answers to these branding questions in the context of stimulating tourism, launching new or revitalizing existing industries, the overall image of the island, and as it relates to your own passion. If nothing else, we may come up with some ideas that some passionate Saipanpreneur can use to launch his or her own business, and improve the CNMI economy at the same time! Some of these questions and concepts come from my own coaching practice, as well as a book I always recommend to my clients, The 22 Immutable Laws of Branding, by Al Ries. What is our brand name? We can use “Saipan” as the word we want to brand. "The Grotto" could also be a brand name. What word or concept do we want to own? Fedex owns "next day delivery." When we see the McDonald’s logo, we think "hamburger." When we think Mercedes, you think "luxury." Every great brand has a word or concept that they own. \What word or concept does Saipan want to own? Is it "diving?" Do we want to be known as a world-class diving location? Is it "friendliness"? Is it "beauty?" In recent years, India has established a brand identity as a place for companies to turn to when outsourcing their customer service call centers. Can Saipan achieve a similar reputation? Is there a new or developing industry or trend in which we can position ourselves? Now, my own passion is health—eating healthy and living a natural lifestyle. It would take a little work, but could Saipan become known as the "health & rejuvenation mecca" of the Pacific? That’s something I could get behind. What about organic farming? 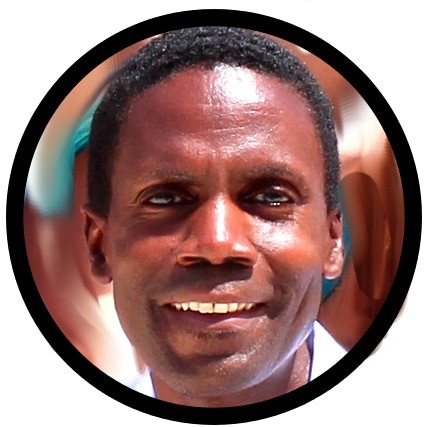 What if we launched an islandwide experiment to eliminate pesticide-based farming and establish sustainable, organic farming methods on the island? What if that really took off, and the world looked to us as a pioneer in eco-friendly farming expertise? With the world’s focus on the environment, global warming, etc., is there something that we can offer the world as a solution in this area? As you apply this to YOUR own area of interest, expertise and passion, you may come up with "what ifs" that just might spark unique business ideas or government initiatives. So, here’s how we might answer the remaining questions using health, diving or farming, say, as the concepts we want to own. What’s the one thing we do? (A good brand focuses on one thing so people know what to expect.) "We help people look and feel younger." "We provide the world’s best diving location." "We show people how to farm sustainably." "We have the world’s best noni." What are we the leader in? 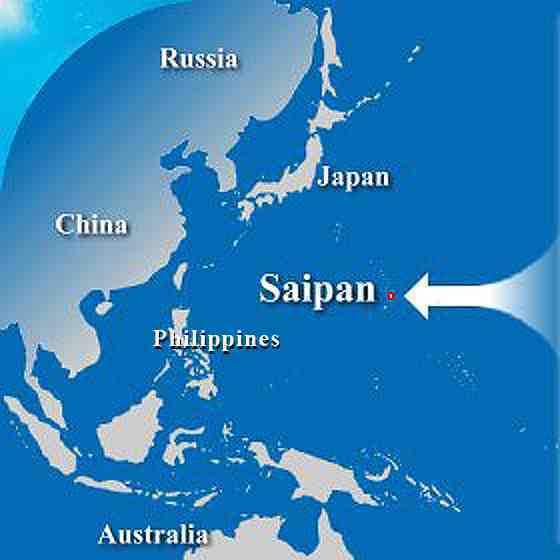 (We must claim a position) "Saipan. The world’s leading destination for serious divers!" "Saipan. The world’s leading resource for organic farming expertise." What’s the category we excel in? Tourist destinations. World’s best spa locations. Organic farming. What’s the category question? (i.e., What is the consumer’s key concern as he/she assesses your brand?) Will this really work for me? Is this REALLY the best diving location? Can I replicate Saipan’s organic farming success in my own region? Once you establish the answers to your brand identity questions, then every press release, every marketing campaign, tourist promotion, television, radio, magazine ad, every brochure you create and send to your list of "communication channels" (see last week’s article) must consistently focus on this brand identity. In time, whenever anyone talks about or writes an article about the category you excel in, your business, or in this exercise, Saipan, will always be mentioned and our reputation increases even further. Of course, entire books have been written on this subject, and our space here is limited. The bottom line is this: You are always branding yourself—whether consciously or not. Every time the consumer comes in contact with you, a little bit of branding takes place, a reputation is established, and a brand identity is built upon. The key is not to wait for someone else, or random circumstance to build your brand for you. You can be proactive about your branding and tell the world how it should perceive you. Once you’re clear about this desired perception, then the product becomes easier to identify, the statistic becomes self-evident, and we’re one step closer to achieving the goals we envision, whether we’re discussing a person, a business or an entire nation.